Best Budget Smartphone To Buy Under $300 | GUI Tricks - In Touch With Tomorrow! Best Budget Smartphone To Buy Under $300 - GUI Tricks - In Touch With Tomorrow! 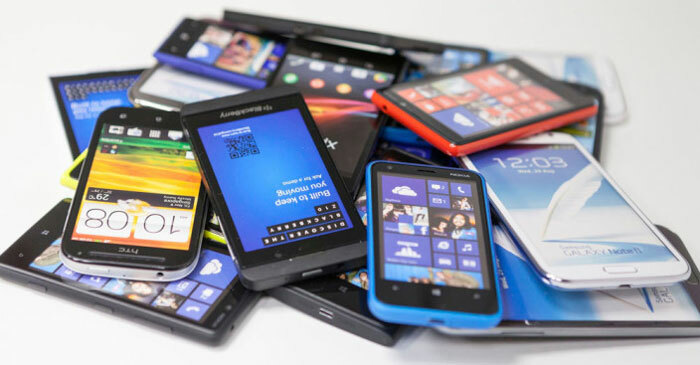 The Smartphone market has Smartphone for all types of customers and users. The marketers have focused on the low budget Smartphone according to the demand of the users around the world looking for the good Smartphone in the best budget. The Smartphone usually cost you around $600 to $700 which either cost you too much or you have to sign the contract for monthly installment payment. The best budget Smartphone has different budgets to target all types of customers such as under $100, $200 or $300. All this Smartphone not only have different categories and features but you will find better Smartphone in your price range. This Smartphone is one of the best phones you can find under $300, it is a Miami-based company which introduced the body with a sleek metal design with Octa-core processor 2 GHz. This Smartphone has 4 GB of RAM and 5.5-inch display good resolution as well. Other than this Smartphone has 16 megapixels of the camera as well as 64 GB of memory which can keep all your data. This Smartphone charges quickly and the camera result is surprisingly good too. This Smartphone is available in the $300 which is a plus when you buy a Smartphone with all these exciting features. This Smartphone is one of the most affordable Smartphones which has very good features as well. The ZET Axon 7 Mini Smartphone is available 5.2-inch display and operated by the 1.5GHz snapdragon. This cheap and exciting Smartphone is also available with the 3GB of RAM which provides it the fast speed and a good storage memory of 32GB. The camera is also very good with 16 megapixels and proper brightness and exposure tools which help you capture the best pictures. The battery of this Smartphone is also very good and provides 50% of charging in just 30 minutes. All these features are available at a very affordable price of $200 and have a very good market reputation as well. There is definitely some good Smartphone which you can buy under $300 and which are really good as well. This list also includes Moto G from Motorola and has decent features with a user-friendly interface. This Smartphone is available with the processor 1.5 GHz Snapdragon and a good battery which gives you a long day battery backup in just 15 minutes of charging. Either then this, it is available in 16 and 32 GB storage or you can also extend it with an external microSD card. It has a good camera of 13 megapixels and you can get all this in just $200 and on sale it is available as low as $175. If you are looking camera as the best feature of your Smartphone in a low budget the Huawei Honor 5X is just the right phone for you as it has a very good camera of 13 megapixels which captures pictures with the autofocus and LED flash. This camera also makes a video of 1080p and provides a sharp color display with technology to reproduce the color contrast. Other than its exciting camera feature the front camera is 5 megapixels which are not that great but provide sufficient front camera support. This Smartphone is operated by 1.5 GHz snapdragon and LCD display. The storage is 16 GB with 300 mAh battery and all this is available in less than $200 where you can find it in just $175. This is definitely the best Smartphone with good quality pictures under $200. If you are looking for a good Smartphone which is available in the market in just under $200 this is the right choice for you. You can get a good processor if 1.2 GHz Quad-core with the capacity to store data from 16 GB. You can also extend it up to 32 GB and use a microSD card for this purpose with 1.5 GB of RAM to support the speed of this Smartphone. This company has launched many Smartphone in low price range but definitely, this one has better functions and features to provide a good Smartphone in the best budget. You can get 3 megapixels of the camera which are fair goes as well as the dual speakers which allow you to enjoy better sound quality. The battery is a bit low when compared to other Smartphone 2000 mAh and on average this device is pretty much good when you can buy it under $200. On sale, this Smartphone is also available in $175 which is a plus. So if you are really low on budget and waiting for summing up some money to buy a new Smartphone, don’t wait and buy the Moto E. not only this Smartphone is one of the best ones in the market which are the best buy but also this Smartphone is a complete set to do your daily tasks. This Smartphone is also very good when you need something good and cheap for gifts and buying a Smartphone for yourself. This is one of the cheapest Smartphone you can get from Motorola. This is operated by 1.2 GHz Snapdragon processor and 8 GB of expandable memory. You can also extend it to 32 GB with the RAM of 1 GB. This Smartphone has a 4.5-inch screen and rear camera of % megapixels. You can get all this in just $120 and as low as under $100 in sales. Aditya Singh is a blogger with more than 2 years of experience. He mostly consider technology blogs as he loves to blog about them and keep you all updated. He also loves to travel different parts of world in mean time.